This herbal balm is crafted with Organic Neem oil. 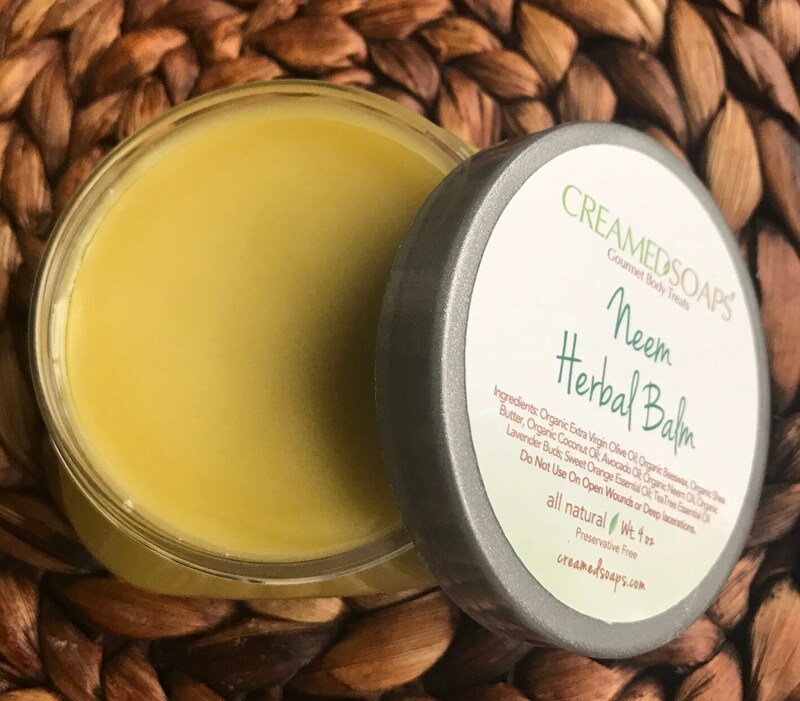 Neem oil naturally posseses anti-inflammatory and analgesic agents, making it a great additive for a balm crafted for our eczema and psoriasis sufferers! Though you cannot cure eczema and psoriasis, this balm provides a protective barrier to promote relief. We combined the Organic Neem Oil with Organic EVOO infused with Organic Lavender buds, Organic Coconut Oil, Organic Shea Butter, Organic Beeswax and Avocado Oil. It has been scented with an essential oil blend of Sweet Orange and TeaTree. Pair this balm with our "Finally Flawless" Neem Oil soap for added skin protection! For this bar check out our Vegan Soap tab to purchase. DISCLAIMER: This information has been presented as informational only. The ingredients in this balm have not been evaluated by the FDA. This information is not intended to diagnose, treat, cure, or prevent any disease. Please research ingredients prior to using as some are not suitable for those with certain medical conditions. This product is NOT suitable for women who are pregnant or lactating. Discontinue use if you experience any discomfort while using this product.